We're currently looking for new eco homes to open on October 8th and 14th, 2017. You might be wondering does my house qualify? Or what, exactly is an eco home? There isn't a strict definition but for us an eco home delivers substantial energy savings and comfort benefits compared to an average home. It also has a substantially lower carbon footprint, in other words produces less harmful CO2 emissions than the average home. Most houses we open for Open Eco Homes are not new and are not show homes. They were built at times when building regulations did not ensure the current level of energy efficiency, air tightness and thermal comfort. 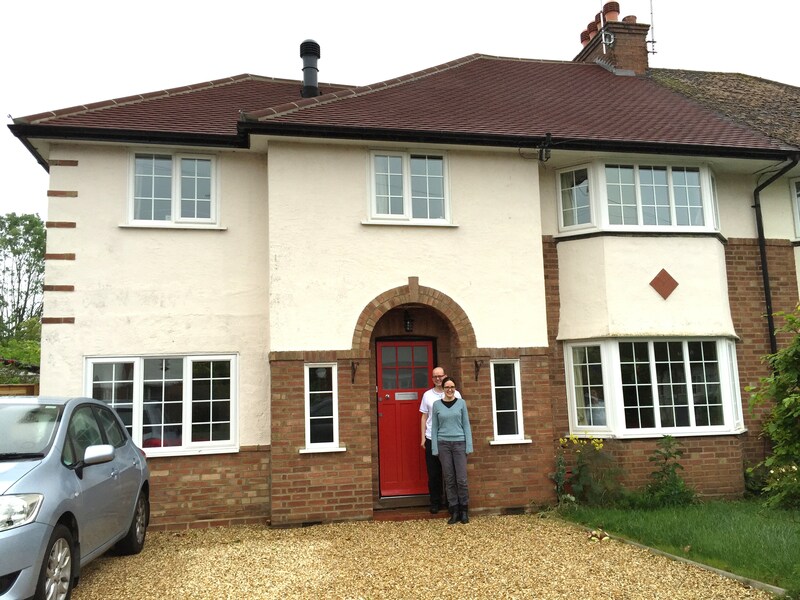 When we pick an older home (left and see case study) for Open Eco Homes we’re looking for a substantial level of retrofit activity that delivers an increase in comfort and a decrease in energy costs and CO2 emissions. It should also have other beneficial features such as renewable energy, natural materials, water saving technologies. 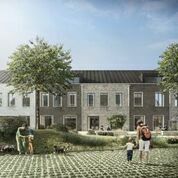 When we pick a new home we’re looking for buildings that go beyond current regulations and aim for maximum efficiency, clever use of design and technology and perhaps offer other social benefits. For example last year we worked with K1 Cambridge co-housing scheme (right). We want to include a wide range of people, groups and types of building activity in Open Eco Homes so as well as contacting individual householders we approach commercial developers, community inspired schemes, social housing, housing associations, the rental sector, and sometimes other buildings that don’t fit into the ‘homes’ category but are never-the-less demonstrating technologies and aspirations we think our visitors will value. Work in progress (houses don’t have to be finished). 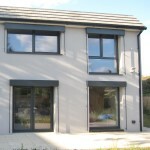 New-build houses that meet pre-existing standards such as Passive House (right, see case study) or Code for Sustainable Home level 5 automatically qualify. 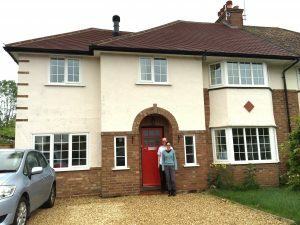 As Open Eco Homes co-ordinator I will generally come and meet you, talk to you about your home and take photographs for case studies, blogs and for use in any media activity (with your approval).